This article offers a reading of the first two issues of the 2014 series of Ms Marvel, written by G. Willow Wilson, with art by Adrian Alphona, colours by Ian Herring and lettering by Joe Caramagna, identifiying a series of questions for further research. Following Michael Chabon’s differentiation between ‘metamorphosis’ and ‘transformation’, this commentary suggests the reader needs to interrogate what it is that enables the teenage Muslim female protagonist to transform into Ms Marvel and what this metamorphosis means. Can a female ‘minority’ protagonist change the ‘master narrative’ of the superman, or is Kamala’s story the same story as in all superhero stories, regardless of her own difference as both an individual and representative of (a) larger group(s)? I am not currently what you would call a ‘superhero comics reader’, though I did read many throughout my childhood and youth. I have spent much of my life trying to spread the word that the words ‘comics’ and ‘comic books’ denote a much wider cultural phenomenon than that represented by (normally USAmerican, anglophone) superheroes. However, I find myself constantly fascinated by the apparently perennial nature of the superhero genre (there must be a better term for that). I am also unavoidably attracted to the material fragility (and, to a large extent in my view, futility) of the ‘floppies’, the periodical, stapled comic books (Priego 2014a; 2014b). Perhaps this fragility suggests to me, consciously or unconsciously, the ephemeral nature of comic book reading, and the associations that ephemerality often has with media or art forms that lack the mainstream recognition of more ‘high-brow’ cultural practices. As an immigrant myself, I am always interested in how immigrants are represented in comic books, and as a reader I do not doubt the positive effects of having role models, fictional or not, to look up to. Anyone who knows a little bit about the history of superhero comics will know they developed as what we could call ‘an immigrant art form’ (I have called it ‘a migrant art’ elsewhere, Priego 2010). Gerard Jones’s Men of Tomorrow (2004) is just one amongst several written accounts of how immigration shaped not only ‘America’ but the whole industry of the American comic book (now a full-fledged, global mass transmedia entertainment industry). At the time of writing the original draft for this piece, there was fairly limited academic engagement with the Ms Marvel series I will refer to here. 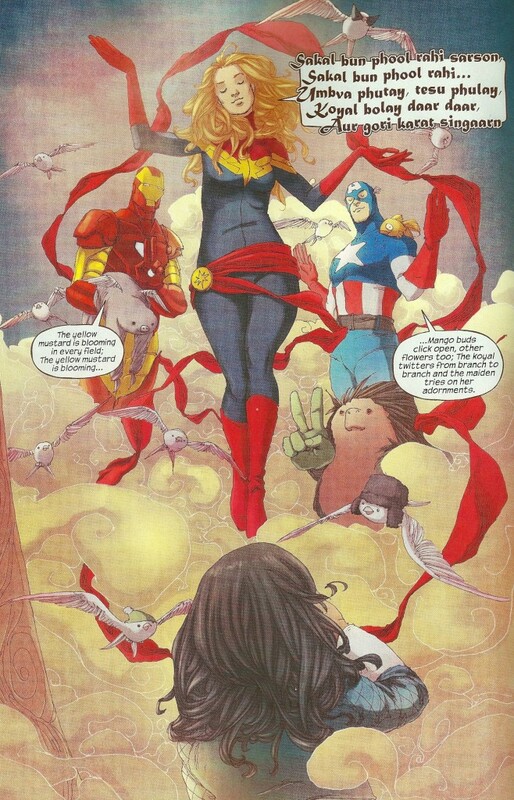 There was a nice feature by Wei Zhu titled ‘Muslim, Immigrant, Teenager…Superhero: How Ms. Marvel Will Save the World’ (14 March 2014) in Religion Dispatches, a magazine published by the University of Southern California. An article signed by Graven Images: Religion in Comic Books and Graphic Novels (2010) co-editor A. David Lewis, titled ‘Kismet Seventy Years Later: Recognizing the First Genuine Muslim Superhero’, (note the use of the adjective ‘genuine’) went live on 20 March 2014. I have bought and read the first two issues of Ms Marvel, written by G. Willow Wilson, with art by Adrian Alphona, colours by Ian Herring and lettering by Joe Caramagna (2014). (The covers –including, in annoying Marvel style, variant ones– by Sara Pichelli & Justin Ponsor, Arthur Adams, Peter Steigerwald, Jamie McKelvie & Matt Wilson and Jorge Molina are attractive yet subtle, without disservicing the inside aesthetic feel of the actual story). I don’t want to say too much about these two issues as I think readers should read them themselves and because this is a series in progress that might still take different directions. I’d like to say though that I was left with a very positive impression of the story, with enough pages in each issue to allow the reader to feel like something has happened (unlike so many other recent superhero titles that seem to have more adverts than actual story pages). Edited by Sana Amat, Ms Marvel so far feels like the result of much careful attention to detail, presenting potentially sensitive subjects (the comic book representation of gender, ethnicity, religion) in a ‘natural’ way, without falling into excessive or facile stereotyping and even more importantly political correctness. Ms Marvel feels to me like a positive step towards the recognition of diversity in superhero comic books, perhaps in a much more mature way than in any of the other recent attempts in other Marvel titles. This is, however, a series meant for teenagers, and I suppose those between, say, 12 and 16 rather than those between 17 and 20… it does not read like a series ‘for girls’, whatever that means; perhaps in the same sense that Harry Potter (1997-2007; 2016) is not a series just for boys even if the main protagonist happens to be male. For me, what stands out in these two issues is how ‘normally’ or ‘naturally’ the situations are presented and developed, presenting a perhaps-universal question, and one dear to superhero comics since their conception, that of growing up, adapting and changing. It does not really matter too much that Kamala Khan is a Muslim, what counts is that she finds herself in that moment in every teenager’s life in which one needs to figure out things by one’s self, which often also means standing up to family and peers, and importantly to those traits within our selves that we did not know we had and that suddenly make a drastic and surprising appearance. It is also interesting that unlike other superhero characters Kamala is not an orphan, and the presence of her both parents (and brother) charges family with an importance similar to the one given to many recent mainstream American narratives, particularly on TV series. Alphona’s and Herring’s art contributes a great deal to transmit a kind of ‘spiritual’, relaxed vibe to the events, even when the situations get tricky, and Wilson’s writing only gives us what is needed, without unnecessary narrative verbosity, limiting itself to the flow of dialogue, which feels human and, again, ‘natural’. It can be just me seeing things, or me as interpreter with a particular frame of reference and background. Ms Marvel reads to me however as bildungsroman or coming-of-age story, and this is the same mega-meta-genre to which many other superhero comic books belong to, and here the moment in which Kamala receives her superpowers (this is no accidental encounter with a radioactive spider) has clear (to me) epiphanic, messianic undertones. The inclusion of the poem calls for interpretations, creating perhaps parallels between Kamala’s growing pains and rite of passage and the yellow mustard ‘blooming in every field’. The world had just found out about the all-new Ms Marvel, Kamala Khan- and we were caught off-guard. Not that we didn’t realize the importance of this venture, or not expect a big response. We just couldn’t predict how immediate, how immense and how overwhelmingly positive the reaction would be. It seemed we had tapped into some global subconscious desire that had gone ignored for far too long. This book became a sort of victory for the misfits of the world, and they raised their flag proudly joining the ranks of the Kamala Korps as if it were long overdue. When I first read the paragraph above it was hard for me not to read Amanat’s words with disbelief. The use of the conditional seemed to reveal extreme editorial caution, radical humility or perhaps even naïveté. Could anyone in the field of comic book publishing not have been aware that yes, this was more than long overdue? That superhero comics have for too long been vehicles of simplistic xenophobia and crass nationalism, failing to represent the diversity not only of their readers and authors but of the world? That superhero comic books had for long failed to honour their historic origins as a genre that developed, in great part, from a need of immigrants not only to belong but to change the way the world perceived them, and to empower readers with the possibility to imagine not only escape but metamorphosis? However, I realised that the comment had indeed to be framed in the context of the online rhetoric from the Marvel fandom in relation to Ms Marvel. Brenna Clarke Gray is entirely correct when she says of Amanat’s commentary: ‘she isn’t, I don’t think, expressing shock at the volume of commentary but on the volume of positive commentary. It’s worth remembering that– there was a lot of racism and a lot of assertions that the comic would not sell. So while they knew the reaction would be big, I think they were bracing for hellfire’ (Clarke Gray, 2016). Ms Marvel is, as a character and as a publication, the result of profound transformations in the way readers, authors and publishers interact, and in the way, though perhaps in a frustrantingly belated and slow manner, in which publishers are acknowledging the diversity of their readership. 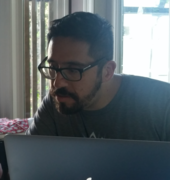 From the letter pages to Twitter and blogs, the intertextual relationships and the multiplication of discourse around comic books has been accelerated to points in which it is difficult to pin down all the complexities. In this context of digital, online transformations of readership and publishing behaviours, what is it that enables Kamala’s transformation into Ms Marvel, not only as a character but as a cultural product? This is why to me there are important associations here between the story, titled ‘Metamorphosis’ (which will comprise Ms. Marvel‘s first five issues) and, say, Raphael’s ‘Transfiguration’, and Michael Chabon’s reflection on the origin of comic books as a preoccupation with the art of escape and the art of metamorphosis. What does this metamorphosis mean? 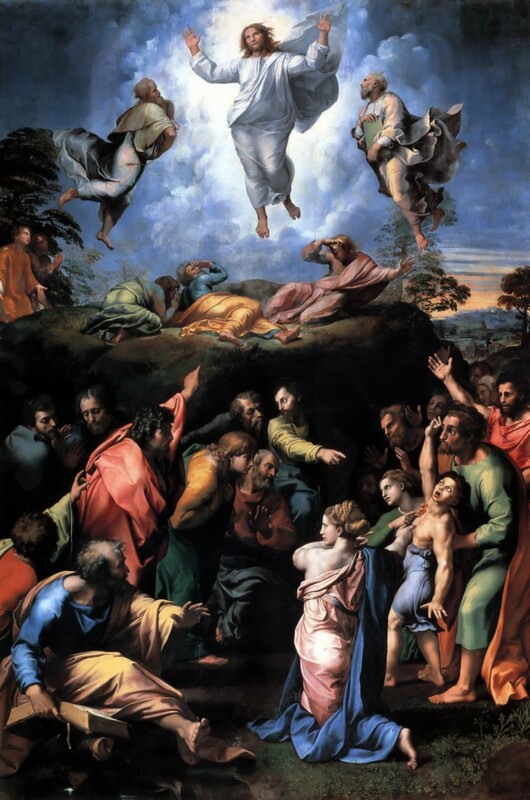 What are the differences between a ‘metamorphosis’ and a ‘transfiguration’? Can a female ‘minority’ protagonist change the ‘master narrative’ of the superman, or is Kamala’s story the same story in all superhero stories, regardless of her own difference as both an individual and representative of (a) larger group(s)? If being a teenager is always-already being a ‘mutant’ experiencing the painful process of physical and pyschological change, what is it like for the ‘minority’ female teenager? What is at stake when the process of ‘adaptation’ into the adult world also includes the complex, often painful processes of cultural adaptation? What is lost and what is gained in these processes? What is at stake in the literary and visual representation, in the medium of comics, of the young female teenager’s desire to grow up, escape and, in her own words, become ‘normal’? I do not have definitive answers to these questions. These are the questions I suggest the series is posing and that I have identified from my own position as a comics reader. I believe that if we are going to embrace difference this would also mean embracing different ways of reading these narratives and of interacting with them, including the way we write about them. This is one of the reasons why this piece is written in the first person, positioning my subjectivity as an immigrant at the foreground, as an exercise in recognising that different discoursive practices, such as academic writing, can be exclusionary of the very singular differences it seeks to address. My hope is that there will be more scholarly engagements with series like Ms Marvel, which strangely enough appears to have been restarted back from issue 1 once again in November 2015, not a whole year after the first series was released. (What are the affordances required to keep up with these publishing developments and their rationales – if any?). There is need of further comics scholarship on the topic of minority protagonists in mainstream superhero comic books, particularly written (and published) by the represented minorities themselves. More personal approaches that help frame the political dimensions of comic book readership and representation in an age of (apparently) acute sensitivity to difference are sorely needed in order for us to continue the conversation as readers and as an academic field. Chabon, M (2000) The Amazing Adventures of Kavalier & Clay. London: Harper Perennial. Clarke Gray, B (2016) Peer review feedback to an earlier version of this piece. March 2016. 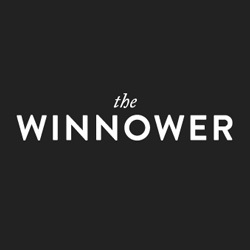 The Winnower. Jones, G (2004) Men of Tomorrow. Geeks, Gangsters and the Birth of the Comic Book. New York: Basic Books. Lewis, AD and Christine Hoff Kraemer (eds) (2010) Graven Images: Religion in Comic Books & Graphic Novels. London: A&C Black. Lewis, AD (2014) ‘Kismet Seventy Years Later: Recognizing the First Genuine Muslim Superhero.’ ISLAMiCommentary. 20 March 2014. Available from http://islamicommentary.org/2014/03/kismet-seventy-years-later-recognizing-the-first-g\nenuine-muslim-superhero/. Accessed 11 May 2016. Priego, E (2010) ’21st Century Comics: Comics as Migrant Art.’ 5 November 2010; Comica Symposium 2010. Transitions: New Directions in Comics Studies; School of Arts, Birkbeck, University of London. Priego, E (2014a) ‘Comic Books: Art Made in the Assembly Line.’ Graphixia. A Conversation About Comics. #153, 4 February 2014. Available from http://www.graphixia.ca/2014/02/comic-books-art-made-in-the-assembly-line/. Accessed 11 May 2016. Priego, E (2014b) ‘On Comic Books as Expressive Objects: Notes on the Undergrounds and All that Jazz.’ Graphixia. A Conversation About Comics. #170, 10 June 2014. Available from http://www.graphixia.ca/2014/06/on-comic-books-as-expressive-objects-the-undergrounds-\nand-all-that-jazz/. Accessed 11 May 2016. Rowling, JK (1997-2007; 2016) Harry Potter [book series]. London: Bloomsbury and Little, Brown. Wilson, GW (w), Adrian Alphona (a), Ian Herring, (c), Joe Caramagna (l) (2014). ‘Metamorphosis part one of five’, Ms Marvel #1, no pagination, May 2014 (second printing). New York: Marvel Comics. Zhu, W (2014) ‘Muslim, Immigrant, Teenager…Superhero: How Ms. Marvel Will Save the World’ (14 March 2014) in Religion Dispatches, University of Southern California. Available from http://religiondispatches.org/muslim-immigrant-teenager-superhero-how-ms-marvel-will-s\nave-the-world/. Accessed 11 May 2016. I suppose I have a competing interest to declare in that I recently co-presented a paper on Ms Marvel with Dr. Peter Wilkins; we hope to publish it as a book chapter and later as part of a monograph. I also serve on the Editorial Board at the Comics Grid, which is worth disclosing. I'm heartened anytime scholars address Ms. Marvel as a figure, because I think she's a hugely significant character. To that end, I agree with Dr. Priego's desire to see more engagement with this topic. What is great about the series (as it continues on) is that Kamala learns that she does not have to be subverted into the traditional superheroic narrative of whiteness in order to be a superhero, which is a significant rewriting of the mythology. Worth comparing to a character like Miles Morales, who does have to disappear into the suit -- and full-face covering -- of a character who is read first and foremost as white. I think I would urge a more generous reading of Amanat's commentary: she isn't, I don't think, expressing shock at the volume of commentary but on the volume of positive commentary. It's worth remembering that the online rhetoric from the Marvel fandom was pretty darned ugly leading up to the publication of Ms Marvel -- there was a lot of racism and a lot of assertions that the comic would not sell. So while they knew the reaction would be big, I think they were bracing for hellfire. Anyway, the comic remains totally great, and all your points are worth thinking about re: transformation. I don't know why it needed to go to another #1, but that's an Oh Marvel rant for another day. This review has 2 comments. Click to view. Thank you very much indeed, Dr Clarke Gray, for your kind and useful comment. I have incorporated it in the revised version. I'm cheered whenever researchers address Ms. Wonder as a figure, since I believe she's a tremendously noteworthy character. Keeping that in mind, I concur with Dr. Priego's longing to see greater commitment with this theme. What is extraordinary about the arrangement (as it proceeds on) is that Kamala discovers that she doesn't need to be subverted into the customary superheroic account of whiteness with a specific end goal to be a hero, which is a huge reworking of the folklore. Worth contrasting with a character like Miles Morales, who has to vanish into the suit - and full-confront covering - of a character who is perused above all else as white. I figure I would encourage a more liberal perusing of Amanat's Help With Assignment | AssignmentProfs editorial: she isn't, I don't think, communicating stun at the volume of critique however on the volume of positive discourse. It merits recollecting that the online talk from the Marvel being a fan was entirely darned monstrous paving the way to the distribution of Ms Marvel - there was a considerable measure of prejudice and a great deal of attestations that the comic would not offer. So while they knew the response would be huge, I think they were supporting for hellfire. This article and its reviews are distributed under the terms of the Creative Commons Attribution 4.0 International License, which permits unrestricted use, distribution, and redistribution in any medium, provided that the original author and source are credited.